Every now and then we've always talked about wanting to visit a gallery of some sort together. 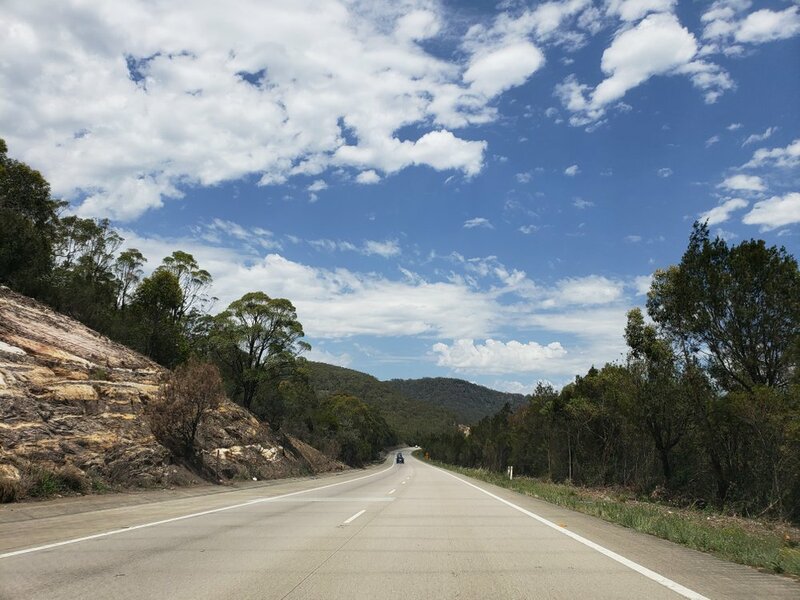 Some years later, we finally made it to one and the effort was a bit more than what we initially planned for as it was a 3 hour drive away from Sydney. We visited the National Gallery of Australia located near the heart of Canberra. Why this gallery? 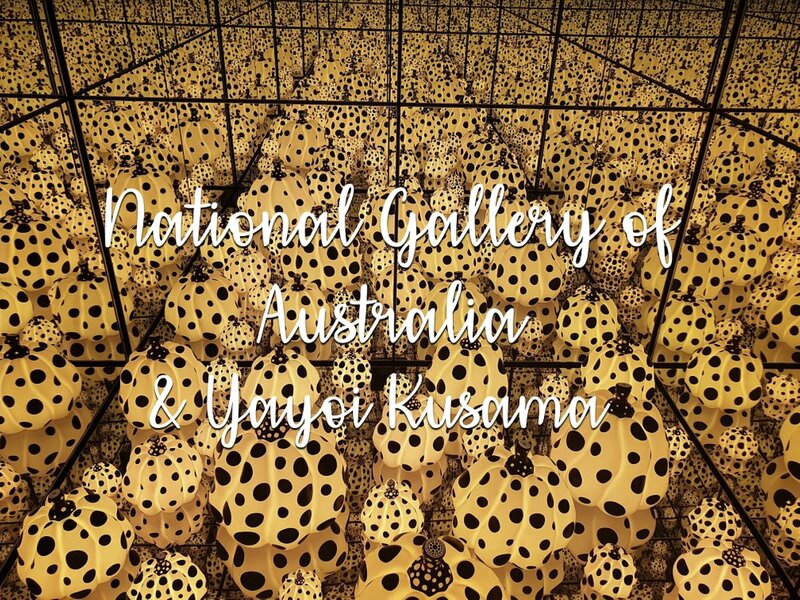 Only because a friend of ours wanted to visit the gallery to see Yayoi Kusama's installation. 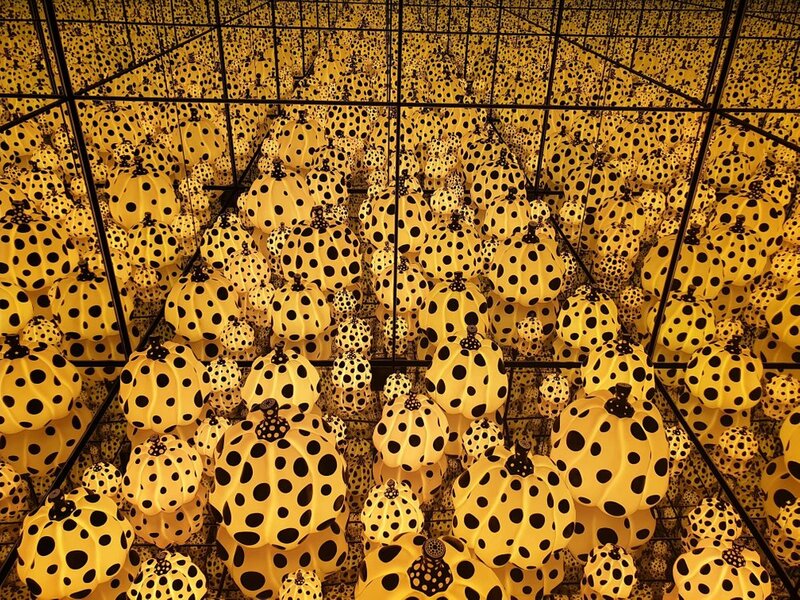 In case you didn't know, Yayoi Kusama is a well-known Japanese contemporary artist and you would probably have seen trending photos on social media of her infinity mirror room installations. Entry to this gallery is generally free unless stated that there are some special exhibitions at the gallery which will require an entry fee. Here are some photos from while we were walking through the gallery. Main highlight follows after! Ok, so here is what we've been waiting for! First walked in the room to find a huge cubed mirror in the middle of the room. On one side, you can stick your head to see what's inside. That's our friend demonstrating what we mean. When you look inside, its filled with lots of spotty pumpkins with mirrored walls - the infinity effect! So yellow and so spotty! The pumpkins were lit up and looked quite nice too! Slightly disappointed that the installation was such a tiny room. We had imagined it to be more than that. Perhaps it was the infinity effect from pictures we saw online that got us expecting more however it was a fun yet short experience and so glad we got to see one of Yayoi Kusama's installations in person.